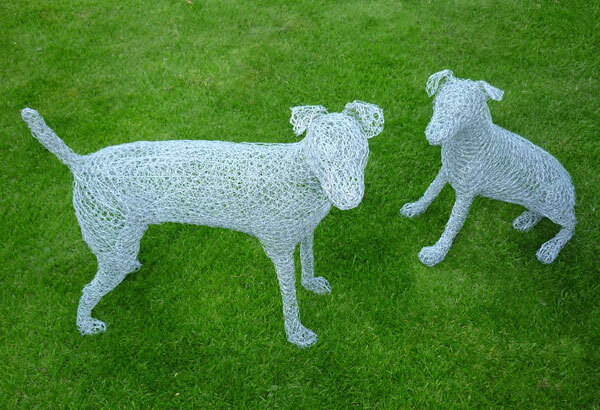 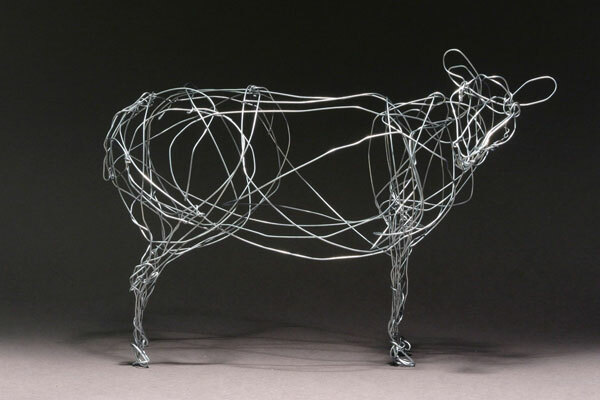 Life-size metal wire sculptures exploring form and movement. 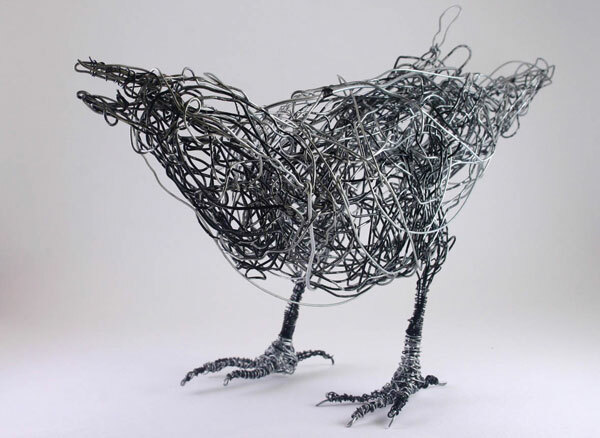 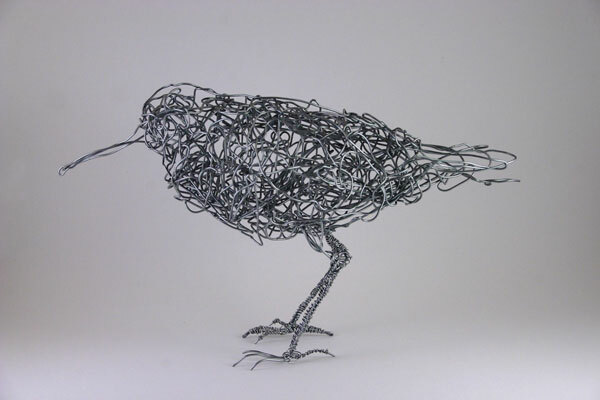 I use a variety of new and recycled metal materials to create sculptures reflecting my interest in the natural world. 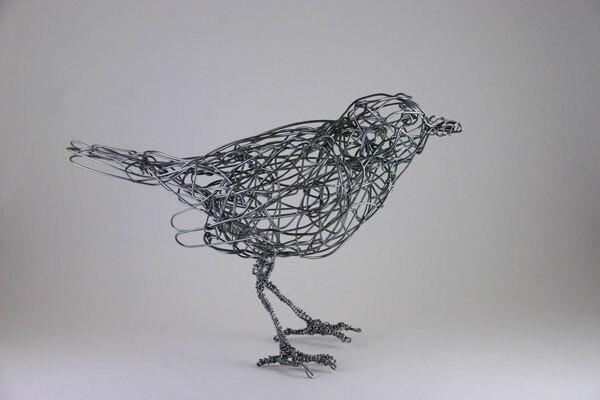 I view my work as "drawing in 3-dimensions": my open-wire pieces use the materials' natural tension to realise form and movement in a series of arcs and lines. 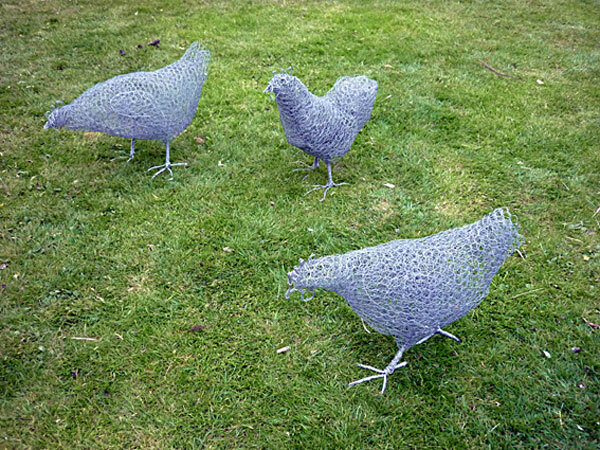 In the more solid sculptures, a range of mesh gauges depict mass and volume akin to cross hatching. 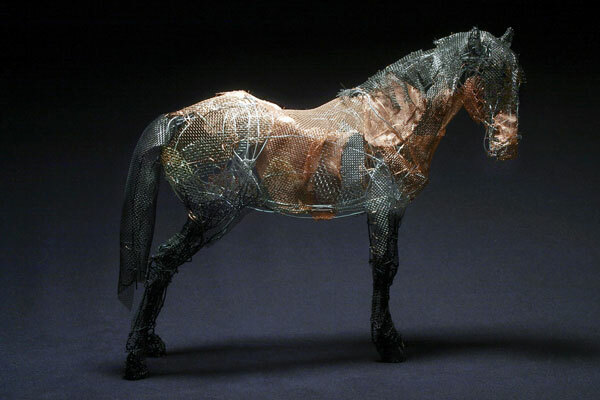 Each piece is a study in anatomy and behavior and I endeavour to impart a sense of life and energy into subjects ranging from small birds to life-size dogs and horses.